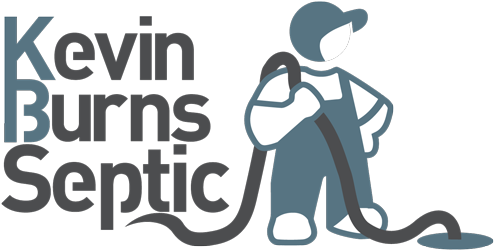 In 1983 Kevin Burns, Chris’ uncle, saw the need and an opportunity for septic tank pumping services in the area and proceeded to buy his first pumping truck. From 1983 until 1989, he was working in the Coleman schools full time, while also farming and pumping tanks. His days started early at 6:00 AM and went late into the night around 11:00 p.m. Eventually, his hard work and determination allowed him to quit his job at the school and dedicate all of his time to pumping septic tanks. In time, he incorporated Porta-Johns into the business. After 30 years of owning and operating Kevin Burns Septic & Porta-Johns, Kevin and his wife Sue turned over the Porta-John portion of the business to their nephew, Chris Guiett and his wife, Georgia and the business transitioned into Guiett’s Portajohn Rental and Services. Although Chris has a tool and die degree, his true loves are being outdoors and driving truck. The only thing he loves more than that is his family, and as it has grown recently, the distances involved in driving were shrinking the time he spent with them. 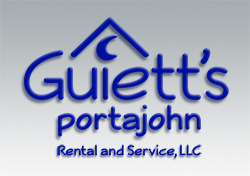 While he continues to work hard at Guiett’s Portajohn Rental and Service, he is thankfully doing it a little bit closer to home! Chris married his wife Georgia in October of 2009. They have four sons - David is 7, Samuel is 6, Paul is 4 and Peter is 3. Chris feels blessed to be able to grow a business alongside his growing family and enjoys getting to know his customers and continuing his uncle's commitment to quality.